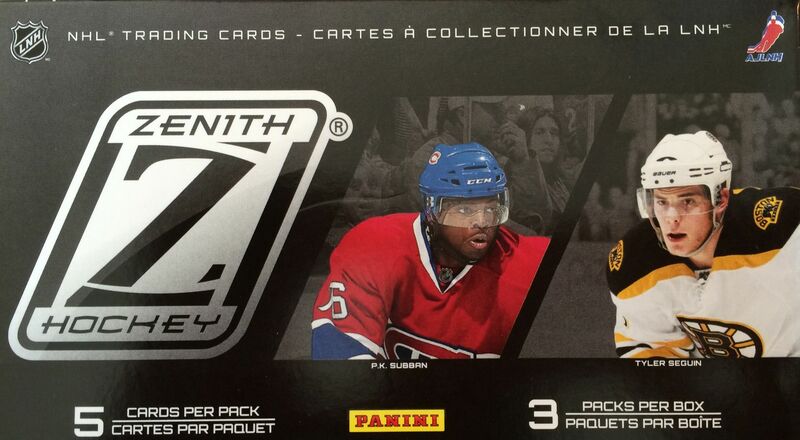 Here's my third and final box of 10/11 Panini Zenith from the last order that I made. I deliberately wanted to start and end with Zenith as it was a product that has been newer to Retail Review. I have enjoyed opening this much maligned product. For its current price, it is a nice little deal that can net you a few sweet cards. So far out of my Zenith boxes I have just gotten jersey cards, and I'm hoping that changes this time. Getting a patch or autograph would be a great way to finish off this three box lot of Zenith I bought. The break will be very quick as there are only three packs per Zenith box. As it stood when it came out that came to ten bucks a pack! Wow, that seems pretty absurd of a price for Zenith now, eh? The market always dictates what the appropriate prices should be! Ahhh... no patch or autograph. And actually my memorabilia hit wasn't even that great, but I did pull a nice insert card at least. The Zenith blasters really leave you with a pretty small stack of cards when all is said and done. That's fine with me though, I'm glad not to have too many base cards clogging up my room. With Zenith being a smaller set, you would think that getting some big name superstars would be easier, but this break had no real huge names come out save for the insert. Out of all the cards that came out, I'd have to pick Jeremy Roenick as the most recognizable name. Zach Parise and Shea Webber would be the other two base that stood out... and maybe Bobby Ryan. I find a lot of Panini's insert names to be pretty humorous... and this is one that falls into that category. I'm not sure who comes up with this stuff, but they never cease to amuse! 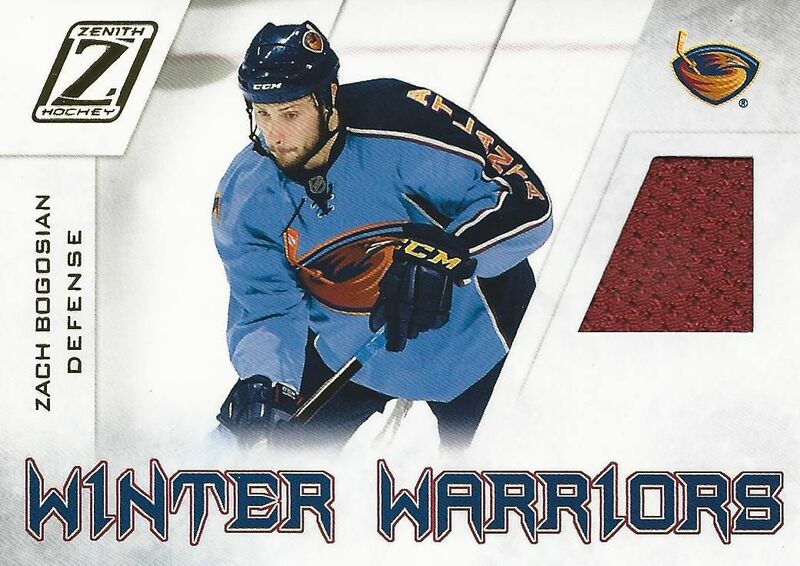 Zach Bogosian isn't a player I'm especially elated to get a jersey card of, but I do find it interesting that he is featured as an Atlanta Thrasher. Teams that have since moved are always make a fun pull. I liked this card more than the hit in the blaster. 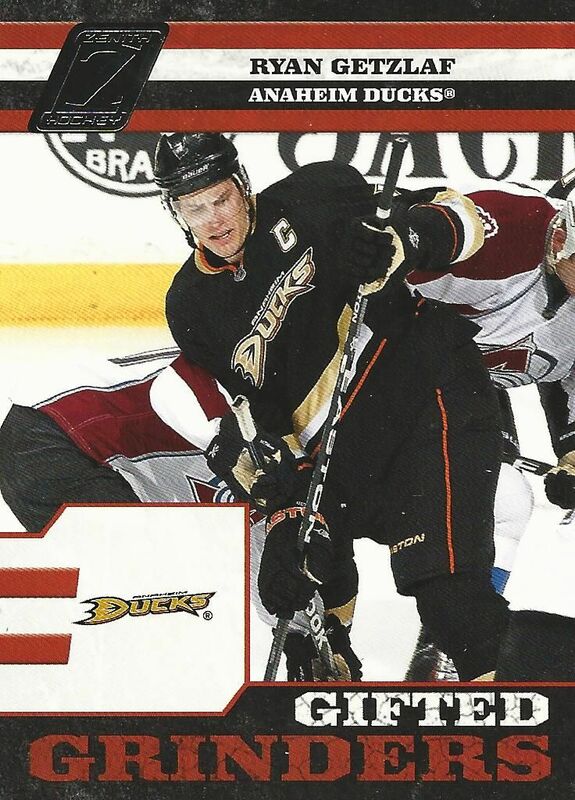 The Nuflex looks good on this card, and Taylor Hall was one of the biggest players you could pull in 2010. Nice, sharp looking card! This wasn't the best Zenith blaster, but it was still a fun break. 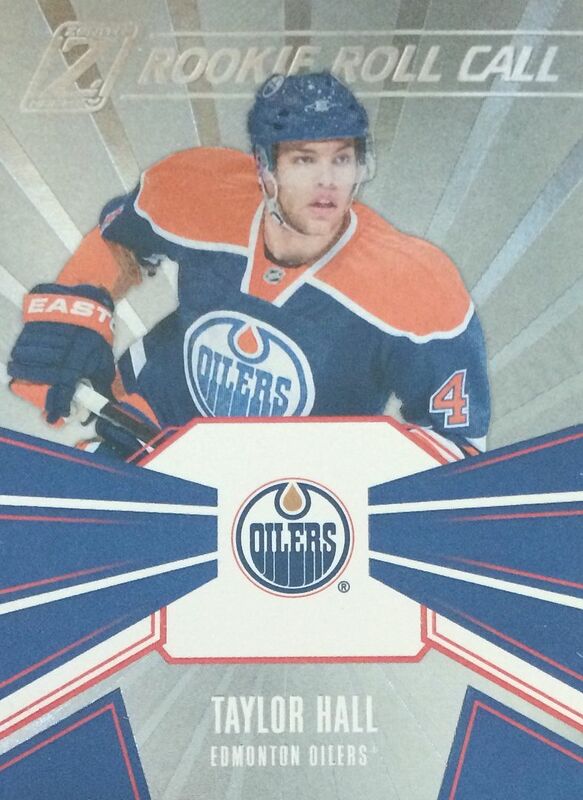 I'm glad I pulled the Taylor Hall insert card as well as a jersey. For a little over $10 I'd reach into the well again for some Zenith. You might see some more of it in the near future if it is still available for me to purchase!